BANKIA has agreed to fully reimburse 200,000 investors who bought €1.8 billion worth of shares before the company’s 2011 public offering. The state-owned bank are giving the investors three months to claim back their original investment plus 1% interest. Bankia’s near collapse in 2012 following record €20 billion losses led to Spain seeking a European bailout and worsened the country’s already severe recession. A Bankia spokesman said: “[Investors] will get their funds back in a period of time that we estimate to be no longer than 15 days after the claim is filed. The decision to repay investors follows January’s landmark decision in favour of two plaintiffs who invested thousands in the bank. The pair bought €9,997 and €20,868 worth of preferred shares in the bank, which was formed when seven failed caja – or savings – banks merged. The Supreme Court ruled in the duo’s favour of after stating here were ‘serious inaccuracies’ in Bankia’s stock market launch prospectus. Former Bankia head Rodrigo Rato is currently the target of several criminal investigations in relation to the case. Strange decision! In Germany we had a comparable case: Private Hypo Real Estate Bank failed in 2008. In their Irish subsidary they had burned 150 Billion Euros by short term speculations that would have been forbidden in Germany. 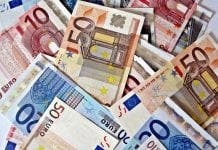 The German government was forced to stabilize the bank by immediate 10 Billion Euros of public cash investment and 143 Billionen of state guaranties in order not to destabilize the entire German financial market. Therefor the German government decided to nationalize Hypo Real Estate and the remaining private share owners were completedly squeezed out. In Spain obviously that works different: Bankia was rescued by 20 Billion of public money and the private owners will be rewarded for their speculation. 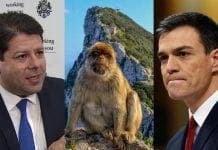 Who rewards the Spanish and European tax payers for their loss of 20 Billion Euros? 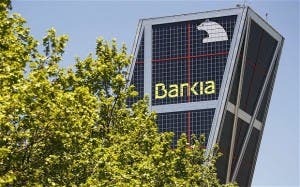 Sadly, the USA banks have done what the Spanish banks do, ie, reward the ‘banksters’. Wolfgang – your talking about all the European and American banks – socialise the losses and privatise the gains. In a world of self assured democratic people, not serfs, these bankers would have been executed, swiftly with complete approval by society. Because they knew this would’nt happen and indeed nothing would happen is why they did it in the first place and why they will do it again. The massive Greek bailouts were’nt – it was a massive bailout of German and French banks that should have been left to collapse. Would you lend money and lots of it to those who you knew were corrupt, of course not.